We are saddened to hear about the passing of Judy Rogers, longtime chef at Zuni Cafe in San Francisco. She was a true luminary, and a former member of Chefs Collaborative. You can read a wonderful tribute to her in the LA Times. – Michael Leviton, Board Chair of Chefs Collaborative; chef/owner of Lumiere in Newton, MA and chef/co-owner of Area Four in Cambridge, MA. 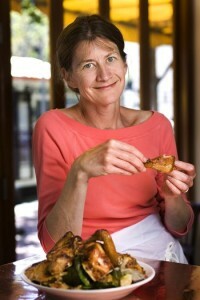 Do you have a memory of Judy Rodgers, or of cooking her iconic Zuni Cafe roasted chicken? Please feel free to leave a memory in the comments below.